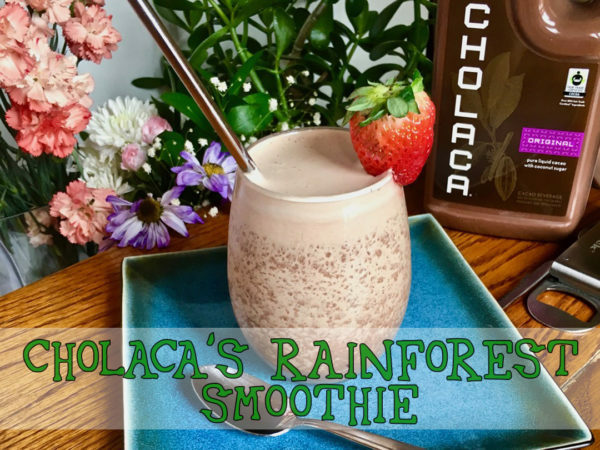 Mix Cholaca and sliced banana into the blender, along with all other ingredients -except the fresh berries. Next, add 2 cups of ice and blend on high speed until the mixture is smooth, then pour. 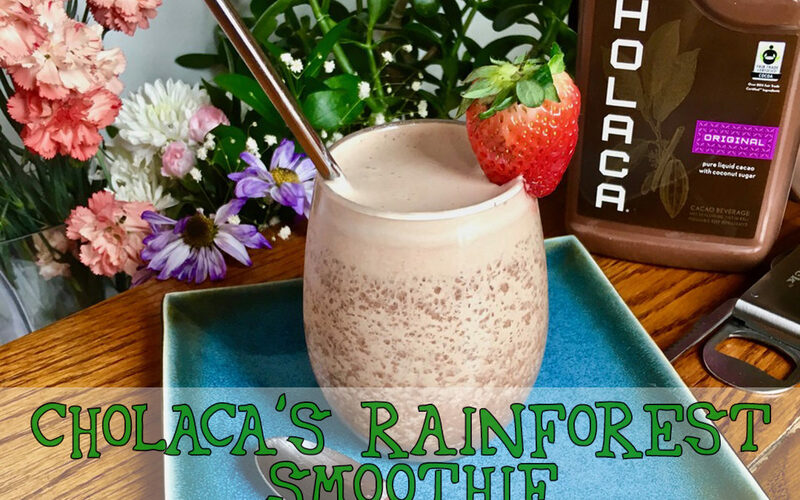 The result will be two cold, creamy and delicious Cholaca Rainforest Smoothies. To finish, slice some blueberries and strawberries and float them on the surface of the smoothie for some delicious, juicy bites of fruit. Serve with a spoon. This recipe makes 2 servings. Enjoy!